Izzy texted 2 simple words this afternoon >> CEILING TILES! Yes she was watching HGTV’s Love it or List It and there they were, decorative ceiling tiles showcased in their full glory. 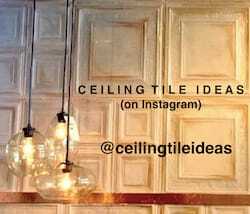 As she watched the episode unfold she was particularly taken with the fact that ceiling tiles are so easy to install. 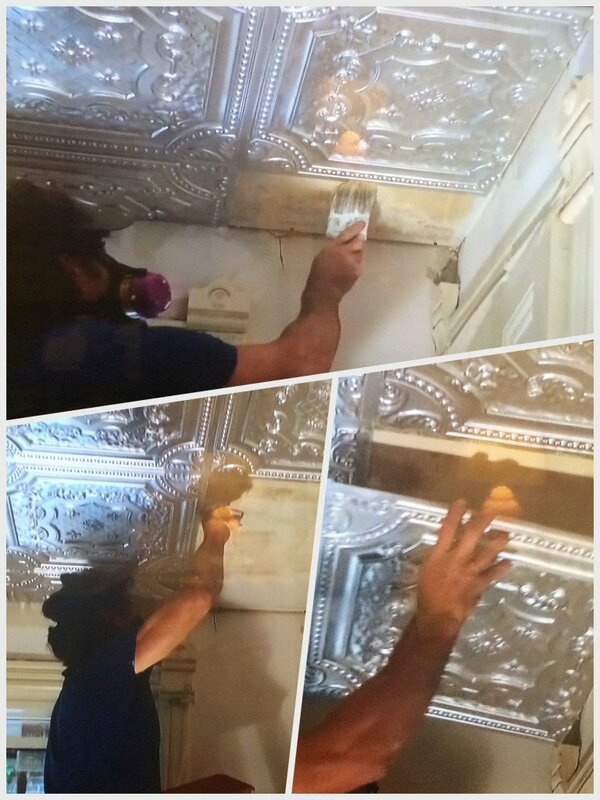 Izzy even sent me some screen shots of the installation process. 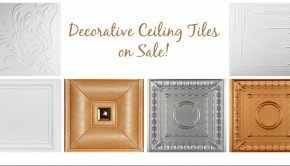 Although we have no idea where these tiles were sourced from, we checked with Milan, over at Decorative Ceiling Tiles, our hands down favorite ceiling ceiling tile supplier, and asked him what tile he would suggest. 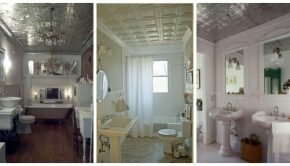 Based on these photos, Milan thought there was a good probability these are glue up faux tin tiles similar in style to what he calls Elizabethan Shield. 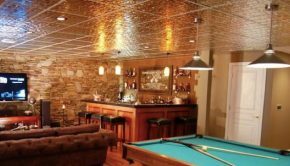 Milan carries the faux tin Elizabethan Shield Tile in brushed nickel and also stocks the aluminum version of the same tile. As you can see, the real tin is a bit brighter than the brushed nickel so your final decision will be based on the look you are trying to achieve and your budget. 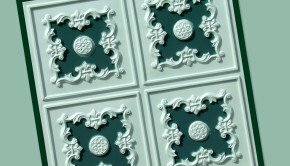 The clear coated aluminum tiles will cost you about 50% more than the faux tin tiles. 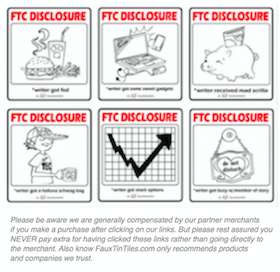 Having said that, depending on the size of your room, the extra $5.00 per tile may not be a deal breaker. 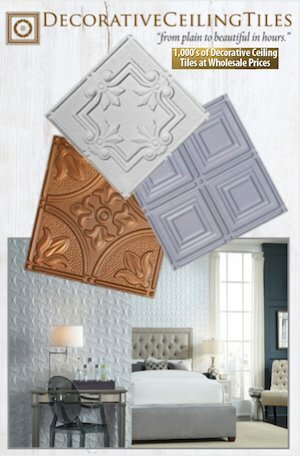 Another option is to simply paint the faux tin tile the exact color you desire! 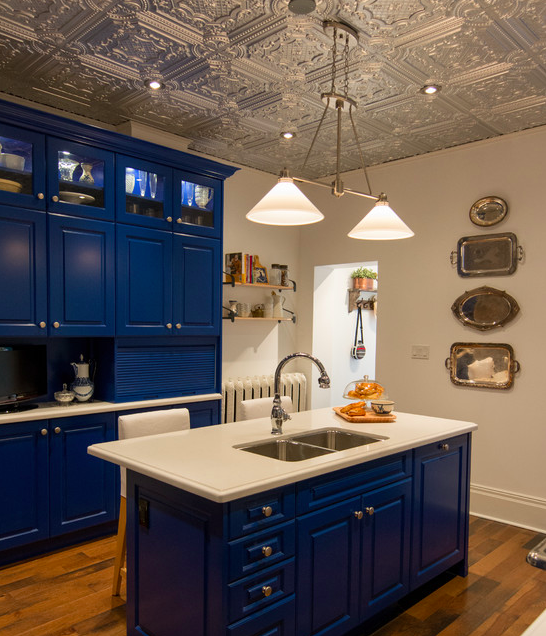 Here is a photo of the final ceiling we found on Houzz. Watch this Season 9 Episode 7 “Money Pit” now! 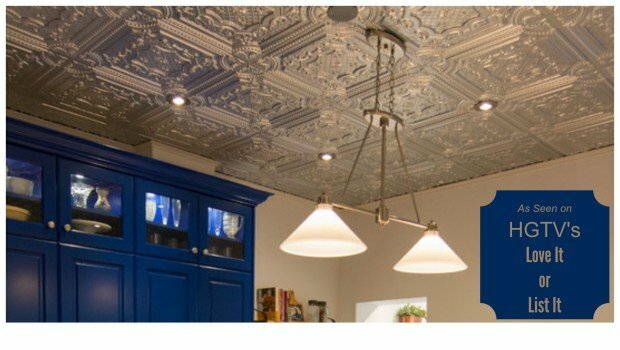 Summary: Fabulous Decorative Ceiling Tiles as Seen on HGTV's Love It or List It!